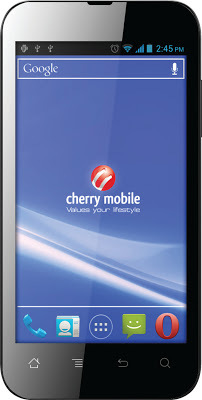 Home Reviews Smartphones Cherry Mobile Flare vs. MyPhone A898 Duo: Specs Fight! 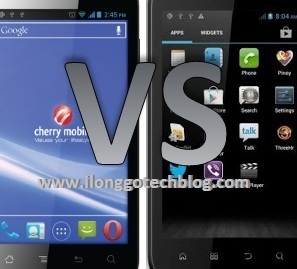 Cherry Mobile Flare vs. MyPhone A898 Duo: Specs Fight! 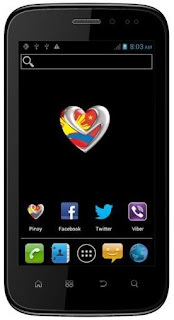 MyPhone has finally launched its newest PINOY Android Phone called MyPhone A898 Duo, the first ever Android smartphone from MyPhone that comes with 3G connectivity, while the Cherry Mobile Flare, is the first ever dual-core Android ICS smartphone in the market with an unbelievably low price of Php3,999 only. The CM Flare was launched during Cherry Mobile's Flare Up event at One Esplanade last Wednesday. With that a lot of people are asking which is better between the two? So, Aside from their looks, can you really tell the difference between the two? If not, let’s look at their specs side-by-side after the jump. If you can see both the Cherry Mobile Flare and the MyPhone A898 Duo have the same RAM, internal storage, both have GPU's that can play Angry Birds, Bad Piggies, Temple Run and is compatible with Adobe Flash, but the Cherry Mobile Flare edges the MyPhone A898 Duo with its 1.2GHz dual-core Qualcomm Snapdragon S4 processor (1GHz for the CM W500 Titan) and its unbelievably low price of Php3,999 only (The CM Flare is Php3,500 cheaper than the MyPhone A898 Duo), while the MyPhone A898 Duo boasts a large 4.3-inch display, 720p HD video recording, TV-Out and USB-OTG support and its large 1,800mAh battery. Update: The MediaTek MT6577 is faster than the Qualcomm MSM8625 S4. The MT6577 is a dual-core Cortex A9 while the MSM8625 S4 is a dual-core Cortex A5. The A5 is more efficient, but peak performance the A9 beats it handily. However, it the speed difference is pretty negligible for general usage. It'll only be apparent in benchmarks and games. Thanks AnaIvanovic2!